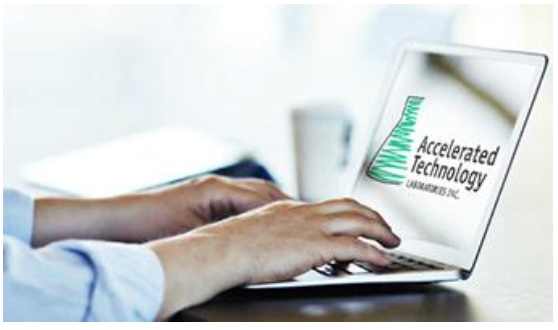 Accelerated Technology Laboratories, Inc. has been a leader in the Laboratory Information Management System (LIMS) industry for over 15 years, pioneering Windows-based LIMS and automating laboratories one at a time. ATL prides itself on providing its clients with a total data management solution and a commitment to excellence in product quality, support and training. The company hires experts in the fields of laboratory management, software development and automation. ATL has provided LIMS solutions for a number of Fortune 500 companies; including government, pharmaceutical, environmental, water & wastewater, commercial testing, food and beverage, industrial hygiene, materials testing and agriculture to name a few. Contact ATL today for a free, online LIMS demonstration! Accelerated Technology Laboratories, Inc.’s Sample Master® Pro LIMS helps laboratories manage their flood of data, limited resources and complex infrastructure challenges. Sample Master® Pro LIMS utilizes SQL Server or Oracle as the backend database. The feature rich modules allow Laboratory Managers to address each area of the laboratory from sample login, tracking, data entry, QA/QC to web reporting with Sample Master® Result Point™. The Sample Master® Result Point™ web portal provides users instant access to real-time statuses and results via the Internet and Intranet. It provides users real time access to LIMS data, status and permit information. Accelerated Technology Laboratories and Hach Company to Host Breakfast Seminar at 2010 AWWA WQTC Conference in Savannah, Georgia Nov 9, 2010 In conjunction with our participation at the AWWA WQTC conference, ATL and the Hach Company will be co-hosting a breakfast seminar. We would like to extend an invitation for you to join us and have the opportunity to learn about the benefits of laboratory automation, LIMS and Water Information Management System (WIMS). Accelerated Technology Laboratories, Inc. Announces 2010 Laboratory Information Management System (LIMS) Seminar Tour and Webcast Series! Jan 26, 2010 Accelerated Technology Laboratories, Inc. (ATL) is excited to announce its 2010 LIMS Seminar Tour and Webcast Series. The LIMS Seminar Tour and Webcast Series provide a convenient method for educating attendees on the value that a Laboratory Information Management Systems (LIMS) can offer an organization. Accelerated Technology Laboratories, Inc. Presents at LabAutomation 2010 Jan 15, 2010 Accelerated Technology Laboratories, Inc. (ATL), a leading supplier of Laboratory Information Management Systems (LIMS), is very pleased to be presenting at LabAutomation 2010! LabAutomation, the world’s leading conference and exhibition on emerging laboratory technologies, will be held at the Palm Springs Convention Center in Palm Springs, CA from January 23–27, 2010.